ACE Your Police Entry Exams and Interviews! ACE Your First Police Entry Exam and Oral Board - and Get Hired in Police Work! Here is the knowledge and the resources to help you start - and succeed in - your law enforcement career! Featuring - The 6 Steps to Becoming a Police Officer. 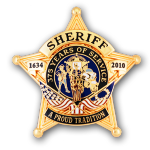 We have over 50 years of experience in law enforcement, and in helping candidates like you achieve your police department employment - AND get promoted to the TOP of your agency! We Sponsor PdJobs.com to Post Updated Job Listings for You! And not just ANY police job listings. Other police job boards simply post whatever they find - we don't. We use our experience and knowledge of law enforcement agencies to post ONLY the best listings. No cost, no registration, no obligation - just visit PDJobs.com and see all the police officer job listings from the nation's top paying, most advanced and professional law enforcement agencies! Make PDJobs.com a daily stop in your search for police employment. These are the 6 Steps to Becoming a Police Officer, and having a successful career. We are with you every step of the way! STEP ONE; Be sure you are police material - and be sure you REALLY want the POLICE job. Sounds very simple. You are already saying to yourself, "Of course I want to be a cop. Why else would I have come this far?" It isn't that simple. To start, take the POAJS self-scoring exam and see how you score. I was hiring police officers for 5 years for my agency. Nothing is more frustrating for a new police officer, and for the police agency as well, to find out that a person didn't know what they were getting in to, were not happy with the profession, and felt like a failure, and ultimately left employment. You probably already know that law enforcement is NOTHING like how it is portrayed in movies and television. Not only that, but being a law enforcement officer is stressful, frustrating, and takes an extreme toll on your personal and family life. Rates of divorce, alcoholism and health problems are very high for police officers. Think about that, and whether you have the personality and willpower to fend off these issues associated with the profession. You should openly ask for the opinion of family and friends, and especially any police officers you know well, whether they honestly feel you would be right for the job. Try ride alongs if possible, and ask questions of the officers you meet. Law enforcement is a tough profession. It may or may not be right one for you. Find out BEFORE accepting a position! STEP TWO; Be sure you are applying for the police agency that offers you what you want. Take the time to decide if you want a small or large agency, what your salary requirements are, and think about where you want to live - near family or friends, or somewhere new. Are you interested in a special unit - like K-9 or Aviation? Marine patrol? Which agencies offer those choices? Are you applying to the right ones? What is Community and Problem-oriented policing - and is it what you want to do? These kinds of questions will come up in your police employment interview. You need to know the answers ahead of time. STEP THREE; Now that you have chosen the handful of agencies to apply to - learn all you can about them. Also seems obvious ... but you need to know more than the basics. Read through their police policies and procedures posted online, understand the geography and jurisdictional limits of the area. Get introduced to some officers if you don't already know any. Ask the questions that are on your mind ... this is no time to be shy. Learn ahead of your first interview the answer to some of the questions you are bound to hear. The panel will use these types of questions to gauge your interest in the agency, and whether you are a good fit for police employment. How many officers are there assigned to road patrol? In the investigation section? Do they maintain a canine unit? Is there a School Resource Officer (SRO) position? What are the other special assignments? Does the agency practice Community and Problem-oriented policing (COP/POP)? Are you interested in serving under this form of policing? Can you describe your understanding of what COP/POP is and how it is practiced? What is the agency's mission statement? Their value statement? How many years until you are vested in the retirement system? What is the starting pay? How about the starting pay for sergeant? For lieutenant? How many weeks is police academy training? If the agency doesn't pay you for attending the police academy (some do, but many do not) how will you support yourself for those four to six months? How long is the probationary status? How many years of service do you need before you are eligible for a special assignment? How many years of service to be eligible to take a promotion exam? Will the agency help with the cost of continuing your college education? How about help with scheduling? If you are not able to easily answer these questions, LEARN the answers BEFORE your police oral interview questions take you by surprise! Sign Up to Receive the FREE POAJS self-assessment police entry exam along with our newsletter. Take the free Police Officer Attitude, Judgment and Suitability exam today! POAJS is as a "pre-screen" self-assessment for a police applicant to get to know whether or not they should consider themselves as suitable for law enforcement employment. Print out and take the exam - only YOU see the results! Read more information about the POAJS self-assessment and sign up to take it now - FREE. Also - test drive Module 1 of Ultimate Oral Board Prep (tm) - for FREE! STEP FOUR; Have in your possession a top-quality law enforcement resume at every point in the process. Hand it to everyone you meet who might be able to help in your job search. Sign up for our newsletter and receive your Free eBook and Sample Law Enforcement Resumes with cover letters - Police (Combat) Resume Writing Techniques. STEP FIVE; Police written exams and oral interviews are TOUGH. You need to be prepared. There are some great police post exam practice tests, testing courses and interview assessments available to help you get hired in law enforcement. The best one can be found here - the Police Entry Level SUPER Course - and it is only 29.95. This is a full course featuring police POST entrance exams and police oral board questions and answers. Also featured in the course is the eBook "Confessions of a Hardass" - an insider's advice on passing your law enforcement pre-employment interview. The Police Entry Level Super Course has many more features to help with your police entry exam and your police oral interview questions. There is material on how to approach your police officer polygraph exam as well as more topic areas to help you do your best and earn your badge! STEP SIX is a question - When do you start preparing for your sergeant's exam? The answer is - the day after you graduate from the police academy. Yes, you need to start on day one preparing for a long and successful police career. The police academy is only the beginning. The day you graduate is only the very first step of the 20+ year journey. Each and every day you need to be learning more and more, so you can have a long and healthy and successful career to look back on. Here are some more resources to help you not only get hired in law enforcement, but also achieve police career excellence! The 8 most important Police topic areas to begin studying - the day after you graduate the police academy! And here is the Advanced Police Promotion Testing Course from the national leader in police promotional testing. From graduating the police academy, to your promotion up to Chief of Police - we are with you every step of the way! We are Police Career and Promotion Services, LLC - and our Affiliates at Finest's Professional Development and LJ Craig and Associates. We are a McAfee Secure Site - loading in a secure link (see the padlock in your address bar). You can trust all our links and software. Director of Police Career and Promotion Services, LLC - Lt. Paul Patti (ret) also works as a professional police promotional test writer and consultant, in-basket assessment designer, structured interview designer and assessor, subject matter expert, consultant in police promotional test and assessment design, and all other aspects of police promotional testing and assessment systems. Since 1985, Police Career and Promotion Services, LLC has helped THOUSANDS of candidates just like YOU get hired - and then promoted in law enforcement. Read more about their company's offerings for a position in law enforcement and the Police Promotional Testing Course. Bill Reilly is the Director of Finest's Professional Development, bringing his command-level law enforcement and executive-level certified coaching experiences together for law enforcement entry candidates and in-service professionals seeking greater effectiveness in the way they ‘Lead, Influence, and Achieve’. Visit Finest's Professional Development for material to help you pass your police oral board interview questions. Dr. Linsey Willis is President of L.J. CRAIG & Associates Inc., a management and organizational consulting firm. The firm specializes in the design and administration of assessment centers, structured-behavioral interviews, written exams, organizational development, performance management systems, coaching for promotional testing, and job analysis. Read more about her offerings for Police Promotion Resources and Police Assessment Center Preparation. An excerpt from Paul Patti’s Confessions of a Hardass. Designed to reveal what law enforcement managers are looking for in today’s police applicant. List of Nationwide Police Academies and how to apply. Email us for a QUICK RESPONSE 9 a.m. to 9 p.m. Eastern, 7 days including holidays!